In 2003 workers of the Chantiers de l'Atlantique shipyard at Saint Nazaire, France handed Queen Mary 2 over to her owners, their job done. Soulless steel had been transformed into a thing of beauty. One man’s dream had become another man’s destiny. 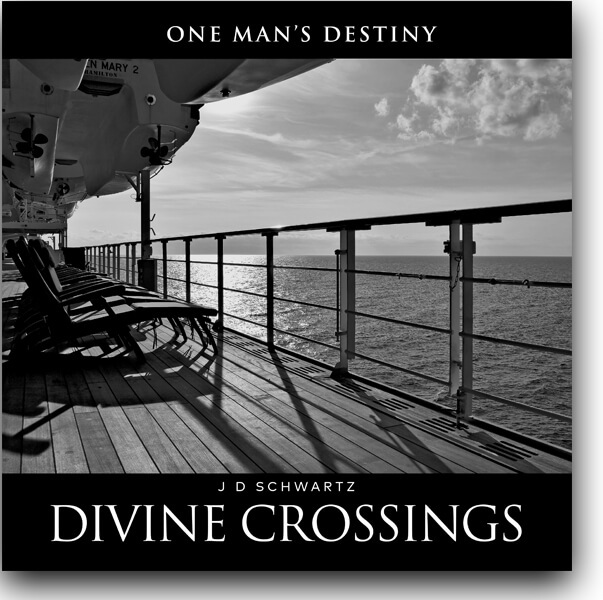 A new door opened for the author – to never say “I should have.” Divine Crossings will consume and engage the reader with a journey shared from the heart, satisfying anyone with a love of ships, and the sea. The BOOK is 11″X11″ Hardcase bound, 208 pages, with over 140 black and white unique, original photographs of Cunard’s Queen Mary 2 by J D SCHWARTZ.